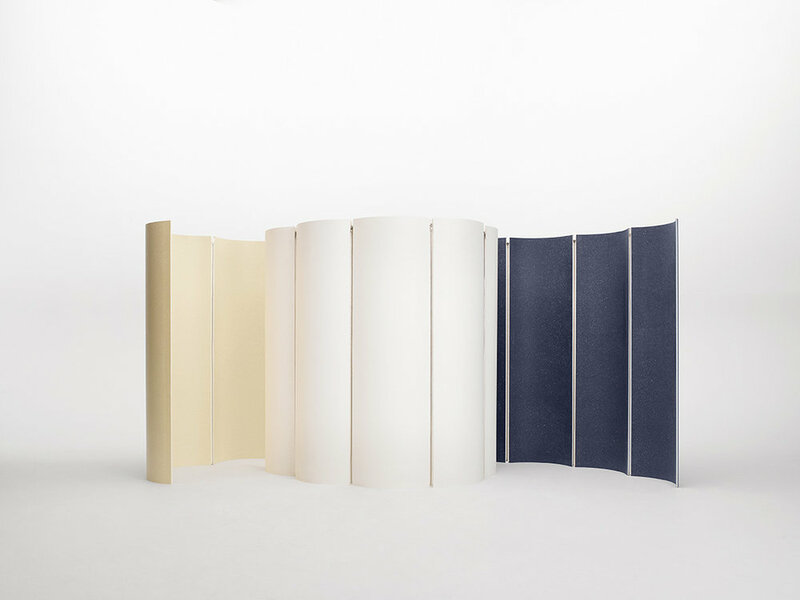 Jo Nagasaka's 'Untitled' colour studies with Solid Textile Board. Continuing our work with Danish textile leader Kvadrat and their partnership with Really, we co-curated with Njusja de Gier the second exhibition of designer commissions working with Solid Textile Board and Acoustic Textile Felt for Salone del Mobile 2018. The exhibition showcased projects by seven designers using Really’s first new material made from upcycled end-of-life textiles. As well as demonstrating the potential of Solid Textile Board and Acoustic Textile Felt for use in furniture and interiors, the designers explored the changing narrative of textile resources and the massive changes and opportunities of the shift to a circular economy where end-of-life will become the start of a new life. Participating designers: Benjamin Hubert, Christien Meindertsma, Claesson Koivisto Rune, Front, Jo Nagasaka, Jonathan Olivares, and Raw Edges. The ground textile waste separated before being made into Solid Textile Board. 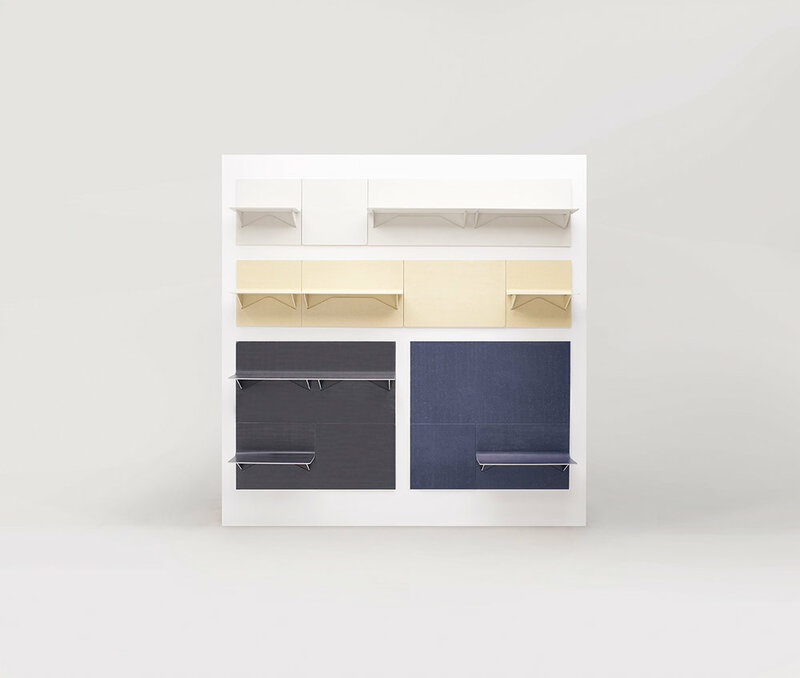 Front Design's 'Solid Textile Cupboard'. Detail of Front's 'Solid Textile Cupboard'. Christien Meindertsma's 'Acoustic Fur' composed of strings of modelled Acoustic Textile Felt. Raw-Edges Design Studio's 'Fine Cut' console and table. Jonathan Olivares' 'Solid Textile Screen' partitions, influenced by Alvar Aalto. Benjamin Hubert | LAYER, 'Shift' magnetic modular shelving system.